I love Japanese hot pots, especially during cold winter months, or an early spring month like March, when mother nature is quite not ready to let go of the last chilly breeze in the air before inevitably succumbing to spring, waiting patiently in the wings. When I go and visit my parents for dinner, my mother makes us a Japanese hot pot, or “nabe,” for dinner because they are healthy, filling and relatively easy to prepare, and it is me and my mother’s favorite food (although I think my father prefers more “meaty” dish for dinner). The more popular kind of nabe is perhaps sukiyaki, a hot pot with thinly-sliced beef, vegetables, and udon noodle, with soy sauce, sake, and sugar broth, but at my house, when we say nabe, we mean the hot pot with fish, napa cabbage, tofu, and harusame, a clear rice noodle, commonly known as “yudofu” (translates to “tofu in hot water”). Just thinking about it makes me crave the warm comfort of this lovely dish. Another nabe that seems to capture the American gastronomic curiosity is shabu shabu, that allows you to cook the sliced raw meat and / or seafood and vegetables in boiling water, self-served style. I’ve noticed that there are several shabu shabu restaurants in the Los Angeles area, like Koji’s on Hollywood and Highland, Yoshi’s in Sherman Oaks, and Mizu 212 on Sawtelle’s restaurant row in West Los Angeles. 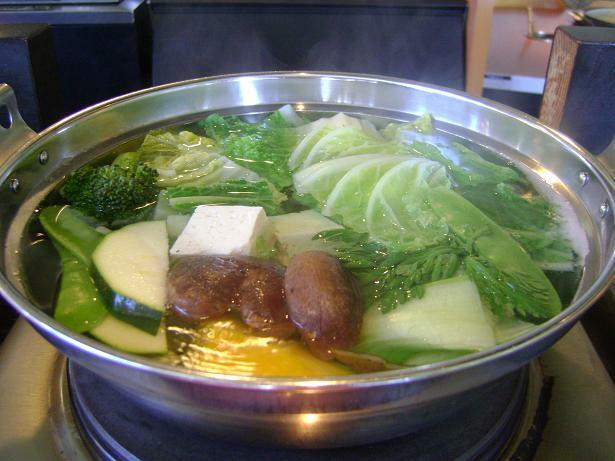 Every time I take relative nabe newcomers to a shabu shabu restaurant, they stare at the pot full of boiling water and ask why they have to pay to cook their own meal. 😆 Although the idea of having to cook your own food may sound bizarre to some, the real fun of this dish is moving your chopsticks from one plate to another and keeping yourself busy while enjoying your company. Perhaps this is an ideal meeting place for a first date (or even a blind date), because when you run out of something to talk about, you can pretend to be busy with cooking the food! I had no problem keeping the conversation going during my last shabu shabu outing because I was at Mizu 212 with my best friend Maya, who came to visit me from Portland at our old stomping ground en route to San Diego to spend time with her other best friend, lovely Lita. Trying to swish the meat back and forth in the hot water while laughing out loud and catching up took some juggling act but we love the food and the experience so much that we often find ourselves at a shabu shabu joint every time we get together! The Vintage Natural Prime Rib-Eye was absolutely delicious, but my favorite part of the shabu shabu dining is the ponzu concoction that you create as a dipping sauce. You get two kinds, a refreshing citrus-based ponzu sauce and creamy sesame sauce as a base, with my favorite being the former. I like to add lots of grated garlic and daikon raddish, chopped green onions, and shichimi (seven ingredients) peppers to the sauce for some added flavors. This makes already delicious meat and vegetables even more satisfying! This was just day one of me and Maya’s gastro vacation. There are more delicious culinary adventures to document here so stay tuned! I recently tried Chinese hotpot for the first time. 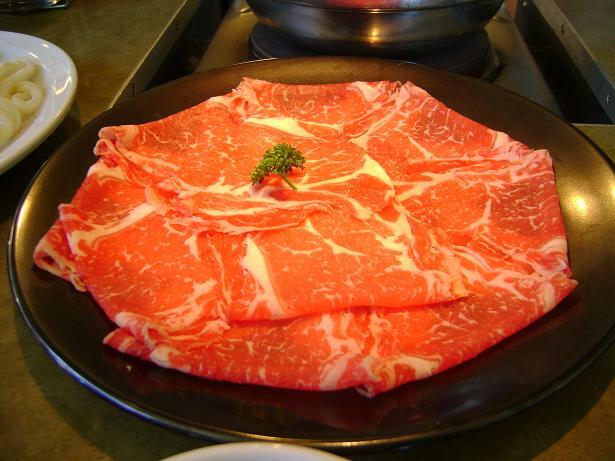 Need to make the effort to try a shabu shabu restaurant soon as well. Love the communal aspect a lot! 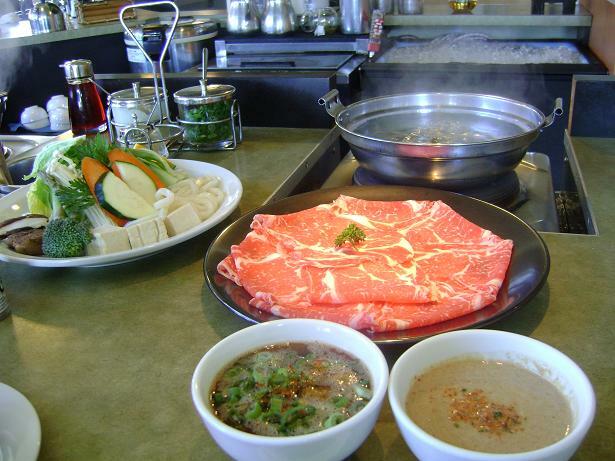 Try the shabu shabu place and let me know how you like it! My favorite one in the area is Koji’s on Hollywood and Highland. It’s in a touristy area but the food there is not that bad! The good thing about shabu shabu is that you can keep the same clothes on for few more hours!